Testimonials from Our Happy Buyers & Sellers! Also see our Facebook page for more reviews! "We started our home search like everyone on the internet and once we found our area, we were recommended to Angela Williams. So glad, excellent service and we would definitely use Weichert again ONLY IF ANGELA IS STILL WITH WEICHERT!" "John was amazing! I am going to recommend him to all of my friends and family!" "John was excellent! I would recommend him to everyone and look forward to doing business with him in the future!" "Donna was excellent, we would recommend her to anyone moving to the Pike County area!" "Angela was very pleasant and helpful to work with!" "Nick gave superb service! He was always available!" "John is an outstanding Realtor and an amazing guy!" "We have bought and sold houses several times over the past 40 years; but your company and Angela by far, have been the best to work with. Everyone has been so friendly and helpful! It has been a pleasure to do business with you!" 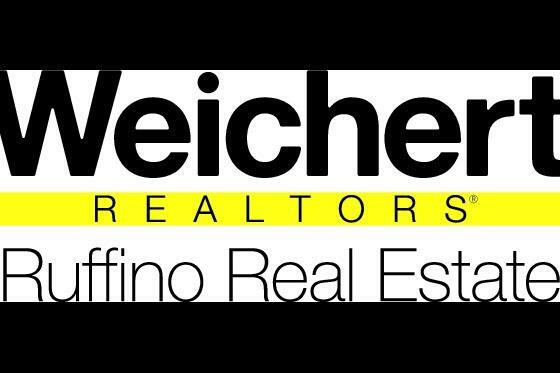 "John was wonderful to work and I would recommend him along with the Weichert Realtors Ruffino Real Estate office for all your buying and selling needs!" "Nicolas was awesome to work with! He was so patient with us since we had to see 12 homes in two days! He was so knowledgeable and I would recommend him to anyone looking to buy in Milford!" "Liza Rombousek was extremely nice and very knowledgeable about all of the properties shown. A great asset to your firm!" "I had a very good experience with Nicolas, he was quick in getting everything I needed and a very big help with getting me my home!" "We are deeply grateful to Marica for getting our PA home sold. We didn’t know how much time, wisdom and perseverance you would use until the completion of the sale. We wish you well!" "Just a note to thank you and your office for the great care we had with Susan Schuster as are realtor. She was always there to answer any questions and always assured me if I wasn't sure of anything. We want you to know she is very good at her job and she was a pleasure to work with. We would send anyone to your office for great care." "Darryl and I would like to formally thank you for your continuous efforts in helping us purchase our property. Your ethics, character, professionalism and expertise in real estate is highly admired. We could not be more thrilled with our property. Our short time frame to purchase the lot made our situation unique. We will always recall the dedication and hard work it took for you to make our purchase a success! We would highly recommend your services to anyone looking to purchase or build a new home. Thank you!" "Susan Schuster is an outstanding realtor who knows all the different communities, their ins and outs to include all the corresponding schools in the district. She was very familiar with resale values of homes in the area. She has been very helpful with our relocation to the area not just in real estate, but also being a great resource for us in other areas of our move. We would absolutely recommend Susan to anyone looking to purchase or sell real estate in any of the tri-state areas and we will definitely use her as our realtor should we have to relocate again." "It was an absolute pleasure working with Donna and Sharon and I appreciate all you have done. I will stop in the office hopefully sometime soon. Again, Thank You!!" "Thank you, Donna for all of the following…Introducing us to the Woodlands, Recommending Greg, Being our Buyers Agent, Visiting us today and letting me show you our new home, Bringing wine from your family's vineyards and just Being you :)"
"I just want to thank you, Marica for helping my brother Ben out with his recent purchase of his new home in Dingmans/Milford area. He is so thrilled. He also was very pleased with your services. I am also a Realtor Ormond Beach, Florida. Ben or Donna may have mentioned this to you. It is difficult to find a good agent in this market. I'm happy you were there for him. I know it got difficult in the end. It almost always does, doesn't it? Anyway I just wanted to extend this sincere gratitude to you. Happy Holidays!" "We recently purchased our home through Weichert Realtors. Dorie Gunderman was our agent. We wanted to express our thanks and appreciation for everything she did for us. She was a pleasure to work with and always willing to answer our many questions. In the future, if there is anyone I know who is looking to sell their home, I will definitely recommend them using Dorie!! "Just wanted to say Thank You, Donna for helping us sell our house within 3 weeks! Your expertise in the real estate market in the Milford area and aggressive marketing efforts helped us sell the house is such a short time during a tough market (end of summer 2010). Plus, you were great to work with!!!! I highly recommend you to anyone looking to sell their home :-)"
"I would like to share my Ruffino Real Estate experience with you on selling two homes in Pike County, PA. A few years ago I was unexpectedly relocated with my employer to another state and needed to sell my home in a hurry. The Ruffino Real Estate Team dedicated extra efforts to sell my home quickly without having to drastically lower the price due to the falling real estate market. I was so satisfied with their professional service, the sale price of my home and the length of time it took them to sell it, that when the time came for me to sell my nearby elderly father's home the thought of going to any other realtor didn't even enter my mind. Again they sold this second house in a timely manner for a great price with absolute professionalism. If I ever move back to Pike County I would most certainly have them find a house for me to buy. They are the best! "Selling your home is never easy, especially if there have been many memories made within the walls. When it came time, we listed our home with Donna Ruffino. She came in like a tornado and quickly helped us clean up and stage the house for the sale. She was very professional, dedicated and patient with all of our concerns or issues. She also kept us updated on all transactions and was quick to get us feedback on the showings. We greatly appreciated all of her time, efforts and hard work. We'd recommend Donna to anyone in the area!!" "Thank you so much, Marica for all the hard work and effort you put into selling our house. In this difficult real estate market you went all out to get our house in Shohola, Pa. sold. We would highly recommend you to anyone for their real estate needs." "Thank you Donna for everything, you did a great Job. No More Stress, Feels Great!" "I would like to thank you, Marica for your professionalism and all of your hard work. You are a great asset to your company. You should be recognized for the great customer service you provided. Thanks so much for the assistance in buying my new home." "Thanks for hanging in there, Donna! You are a great asset to us, over the past three years and through five sales. We appreciate it"
"Thank you so much Donna, for making an extremely difficult experience so much easier. You helped us through this sale which happened at a terrible time. We were lucky to have you as our broker. We will certainly think first of you if we hear about any other business in your area."